NEW VENUE! The gorgeous, colorful and chic terrace of COLCA! Join us on Friday April 19 at COLCA. 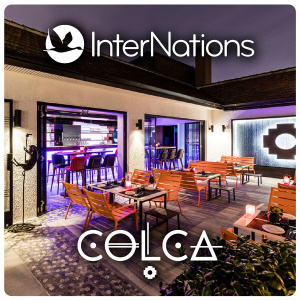 Let's enjoy this wonderful terrace with the amazing drinks and food that the Colca team has prepared for us.